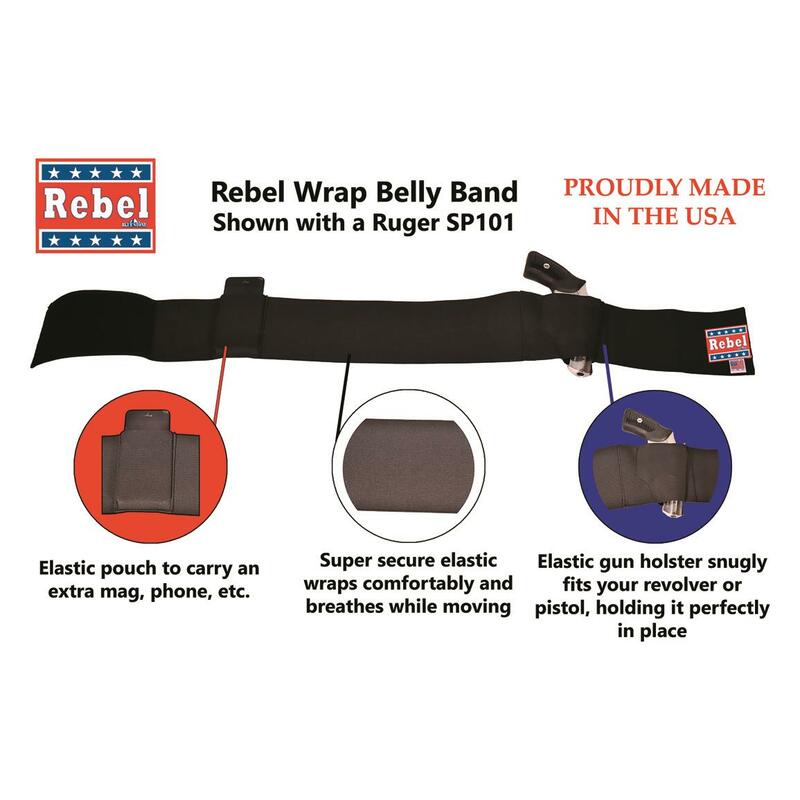 When it comes to concealed carry comfort, the Blue Stone Rebel Wrap Belly Band Holster is a home run. It's made from lightweight elastic that securely holds your pistol and prevents printing, yet it moves easily and doesn't restrict movement. 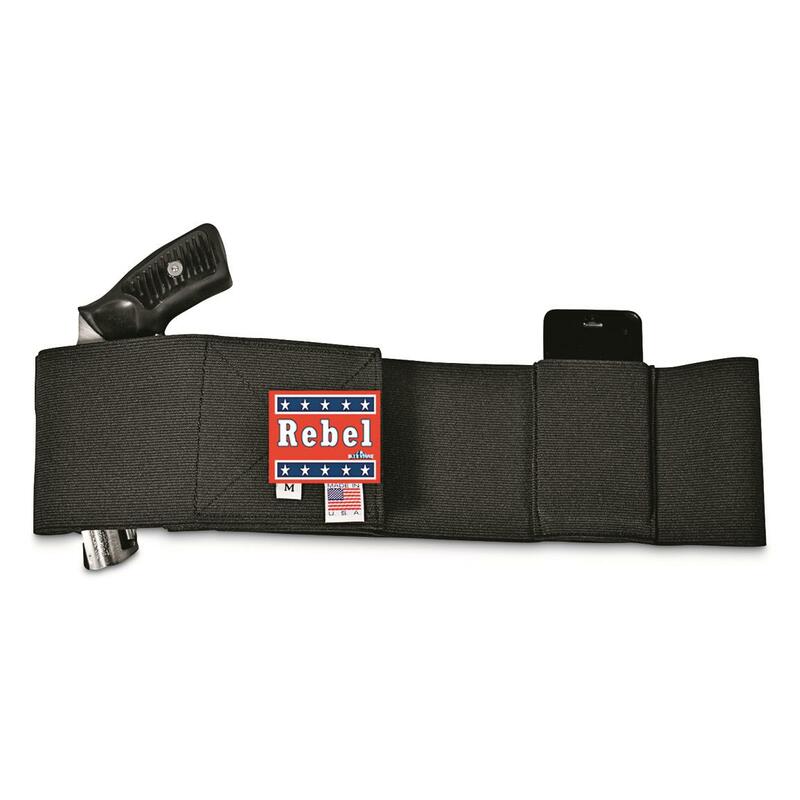 Durable Holster fits any sized handgun or revolver and includes an elastic pouch for an additional mag or small accessory. 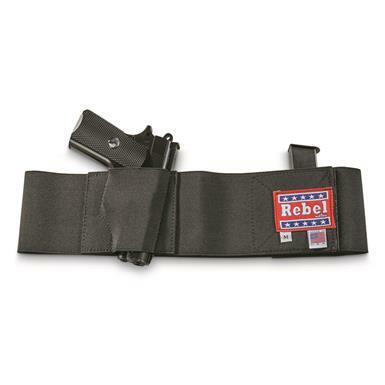 Blue Stone Rebel Wrap Belly Band Holster, Right Handed is rated 4.3 out of 5 by 3. Rated 5 out of 5 by Protective Husband from Very convenient Bought for wife to use when she is working in the yard/woods. Had to be quick and easy to put on and comfortable to wear. It is. She has a large Ruger revolver but that is too heavy to carry all morning. In this she carries a Diamondback 380 or the Walther PK380. She wears it rotated to her left side and set up for a cross draw. It does not interfere with her bending, stooping, etc. She does not carry it concealed but on the outside of her clothing for access. Great product and made right here in the USA! 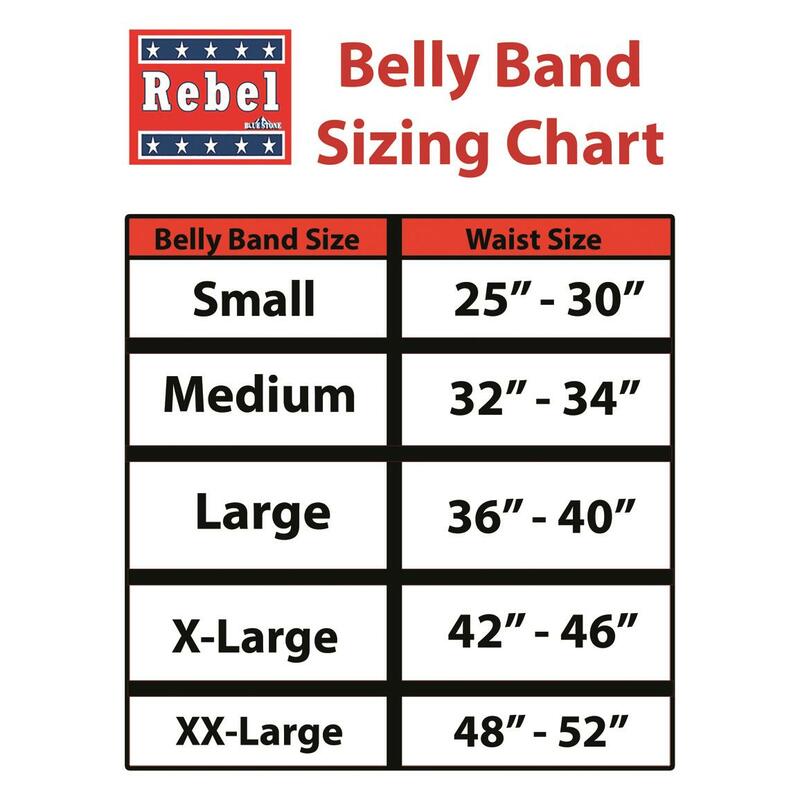 Rated 4 out of 5 by Labster from Good Quality I find that the Rebel belly wrap is of very good qua;ity. It holds my 1911 45 just as well as my sp101 revolver. The only problem I have is the product details say it is 6 inches wide. IT'S NOT! It's only 4 inches wide. I will keep it but I would have much rether had a 6 inch wide band. I will continue to look for one and buy it. Then I'll give this one to a friend. He carries micro pistols. 4 inch bands are better for them. Concealed-carry you can depend on!